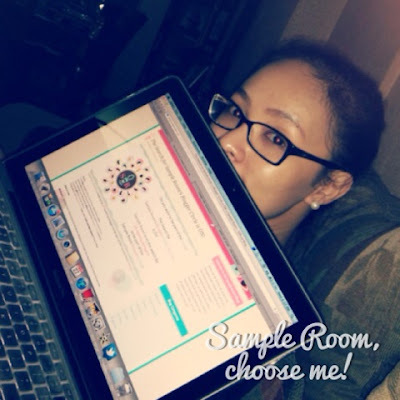 I Want To Be Part of Sample Room's Blogger's Circle | Vanity and Everything in Between. Let's admit it, it's always nice to try products without shelling out - most especially for people who are busy that they don't have the time to rummage around the mall to look for products to try out! It's much easier to browse and click at Sample Room! This is my main reason for joining Sample Room's Search for Blogger Circle Members! If you are chosen, you will be sent samples from time to time. What a nice way to roadtest a product! It will save me time from choosing between products at the malls! This is also a good way for me to be familiar with other brands. Since I do not always have the luxury (of time) to try different brands, I tend to stick to the brands that I have tried or choose from a brand that I am accustomed to.